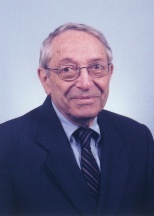 It is with great sadness that we announce the passing of our founding partner, Robert Raphael. Bob was fondly known as “the Father of Divorce Law” leading divorce law reform in Pennsylvania. Bob was our colleague, our friend, and our mentor. His legacy will continue for many years to come. His intellect, sense of humor, and professionalism will be missed by all. We strive every day to provide our clients with the advice and guidance that Robert Raphael would have given them. Many clients who come to us are worried of what the future holds, and they may have a lot of questions about what they can expect. How will I be able to leave or get a divorce? What is going to happen to my children? How will I get through this? We can help you and provide you with answers to the questions you face, as we have done with many clients before you. At Raphael, Ramsden & Behers, P.C., we are a boutique family law firm in Pittsburgh, and we represent clients who are facing all types of family law issues. All clients are treated with respect and dignity, and all matters are given the care and careful attention that they deserve. Call us or contact us online to schedule a confidential meeting with a skilled family lawyer. Divorce No matter the divorce issue you face, we can help you resolve it. Property &Financial Support You deserve a fair and equitable share of your marital property. Child Custody & Grandparent Rights Our attorneys can help you with custody, visitation and more. Related Issues We guide families through all types of issues, including estates and guardianships. Family Law Appeals We will act as your advocates and guide you through the appeals process. Wills & Probate Our firm can help you plan for the future or administer an estate. We strive for expeditious, cost-effective and reasonable solutions that allow clients to move forward with their lives. In all matters, and particularly for complex marital estates and high-profile clients, we can explore collaborative divorce or mediation. This can be a strong alternative to the adversity, expense, length and public exposure of litigation. Our attorneys represent clients at all income levels, and we can help you assess your situation in order to find a solution that fits your needs and goals. We provide legal advice and representation to any individual who finds himself or herself in a situation where they require the advice of an experienced attorney. Contact us online or call us today at 412-471-8822 to arrange your confidential consultation. Conveniently located in downtown Pittsburgh, our firm serves clients in Allegheny County and adjacent counties of Western Pennsylvania. This includes Beaver County, Washington County, Butler County, Westmoreland County, Armstrong County and Greene County.